FOREST, Ontario, Canada - May 18, 1941 - Lieuenant William H. Carter, 25 years olf, a member of the United States Army Air Corps from Seldridge Field, Michigan, was killed and two other American airmen from there were injured, one seriously, in an automobile accident near here last night. James M. Ingham, 24, was the more seriously hurt and isin Sarnia General Hospital. Lieuenant Max Stubbs, 23, suffered bruises and cuts. 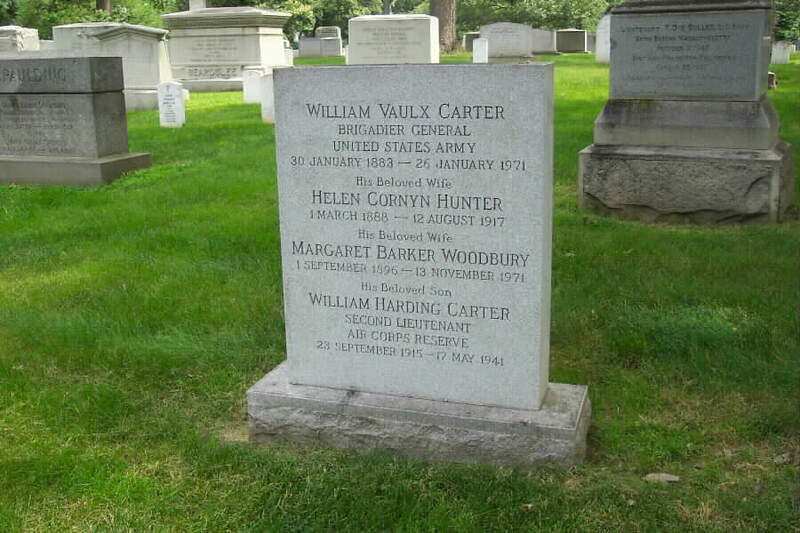 WASHINGTON, May 18, 1941 - Lieutenant William H. Carter, who was killed in an automobile accident near Forest, Ontario, Canada, on Saturday, was a son of Brigadier General William V. Carter, 3207 Highland Place, Northwest, Washington. General Carter is Assistant to the Adjutant General on the Army General Staff. Lieuetnant Carter, who was unmarried, was in the pursuit unit at Selfridge Field, near Detroit, Michigan. Funeral services will be held here on Tuesday afternoon, and burial will be at Arlington Cemetery.